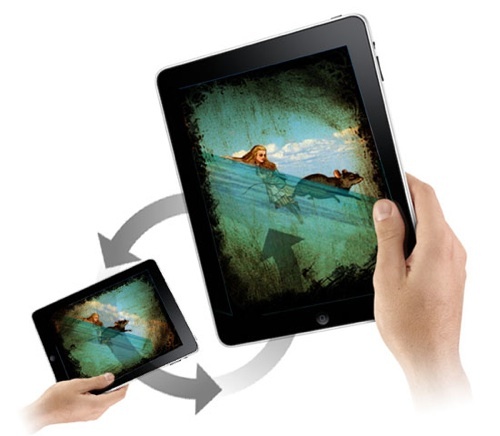 Alice for the iPad is an interactive version of “Alice in Wonderland” for the iPad that uses tilt controls to create various effects as you work your way through the book. Tilt your iPad to make Alice grow big as a house, or shrink to just six inches tall. This is Alice in Wonderland digitally remastered for the iPad. Play with the White Rabbit’s pocket watch – it realistically swings and bounces. Help Alice swim through a Pool of Tears. Or hand out sweets that bounce and collide with the magical talking Dodo. This wonderful lite edition is the first instalment of Alice’s journey and includes an amazing selection of animated scenes. Watch as full screen physics modelling bring the classic illustrations to life.